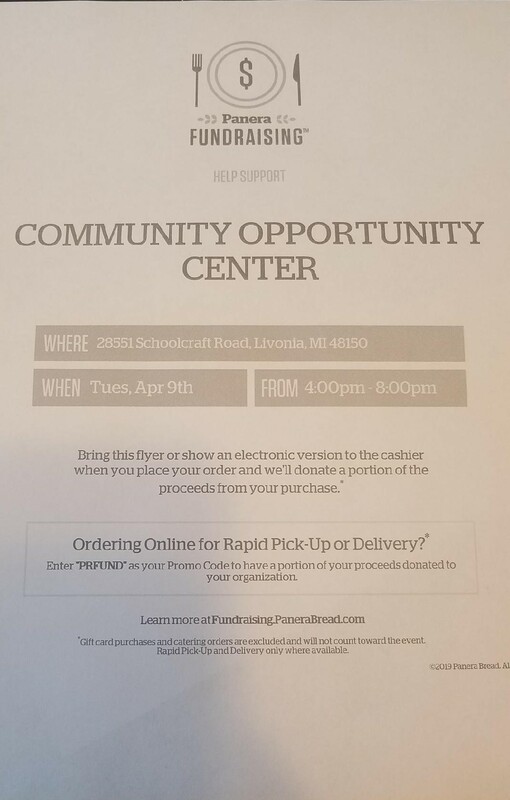 Support Community Opportunity Center by eating at Panera Bread. Panera will donate 20% of your meal when you show our flyer. Time: 4:00 - 8:00 pm.